We’ve just spent a great two days at Llangorse Lake, Crickhowell, Brecon and Talgarth. As well as checking the bike and run routes, we’ve also been meeting the local clubs, businesses and community who are helping us make the race weekend amazing. 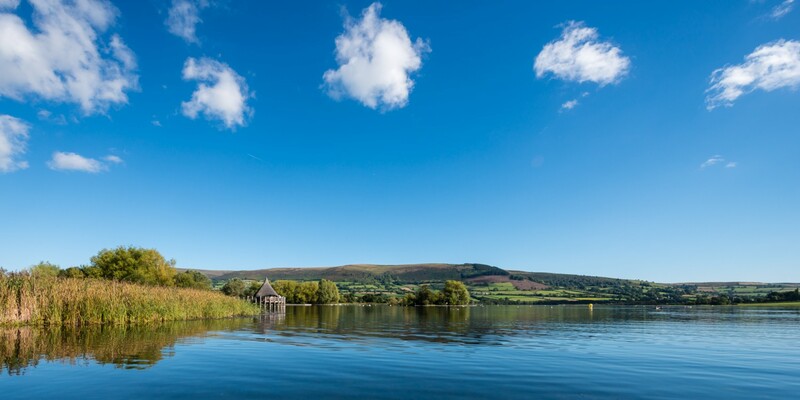 Holding a swim and triathlon at Llangorse Lake has been a dream of ours for some time and we believe it’s the best triathlon course in Britain. We were blessed with wonderful sunshine this weekend and got to see the Brecon Beacons, Black Mountains and Golden Valley of Herefordshire looking at their very best. We’ve made a slight amendment to the run course so that it will be a 1km run from transition out across the footpaths, then 4 loops of just over 4km followed by 1km back to HQ and finishing with a lap of the common. We’ve made the loop slightly shorter to avoid the marshland. The decision was prompted by Nicola going slightly off the footpath and ending up sinking in mud/manure up to her knees. Kylie is still chuckling and the car ride back was a bit smelly! We’ve had loads of interest in the race from local athletes, clubs and the people who live and work at Llangorse and we’re really excited about the weekend. Please spread the word to your family and friends. We have lots of flyers which you’ll see distributed in the shops, cafes, clubs, pubs and businesses of Llangorse, Brecon, Crickhowell, Talgarth, Hay and local villages. If you’d like some flyers to give out where you live please let us know.